The Lift Maintenance crew has methodically been going over each of our lifts during the summer months. 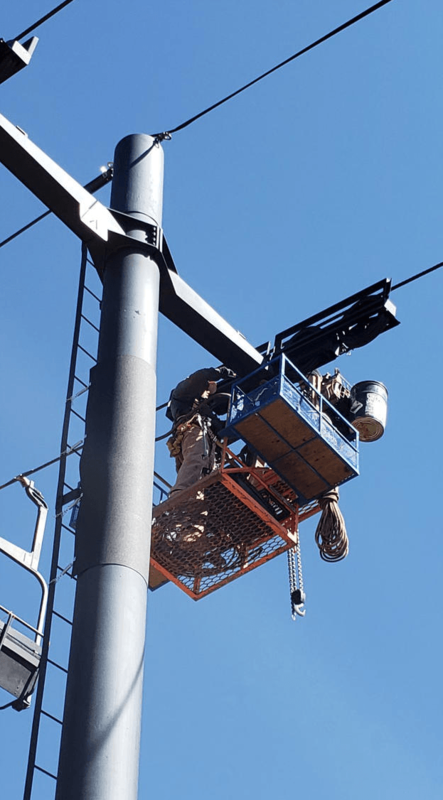 A significant part of their program involves riding each lift in a work chair while performing routine maintenance on sheave trains and tower arms. This portion of the chairlift is what holds the haul rope up on the tower while enabling it to continue its journey spinning along the sheave wheels towards the top of the lift. This work is conducted with a team of two in the work chair with one additional mechanic at the bottom running the lift. The crew in the work chair evaluates and adjusts the alignment of the cable on the sheave wheels while looking for any uneven wear on liners. The wheels may be adjusted, the liners may be replaced or in certain spots the entire sheave wheel may need an upgrade. All bearings and axles are greased in what we call a lift and lube process. In order to work on certain areas of the sheave assembly, the crew needs to rig the haul line so that it can be lifted off the sheave assembly at the tower they are working on. 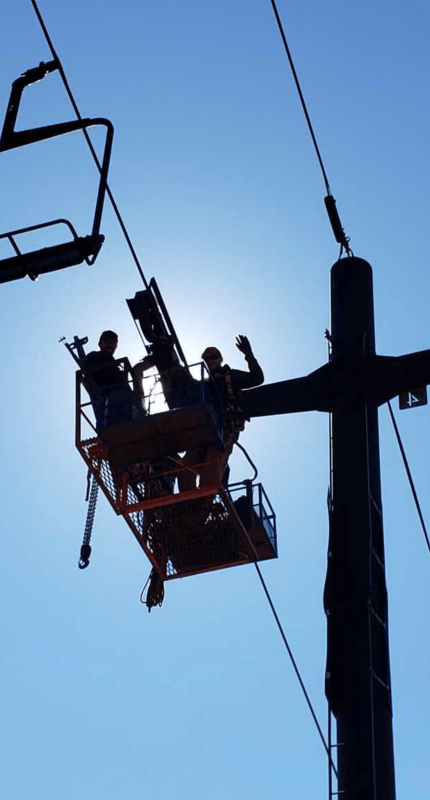 The crew also evaluates switches at each tower ensuring that all electrical connections are functioning as they should. Each aerial lift has two drive motors. The primary drive is an electric motor while the backup system utilizes a diesel engine. All of these systems are analyzed as well during the summer maintenance season. The crew use the diesel motors in the summer as they are more efficient and less expensive to run when the lift is only operating for a shorter period of time. These guys are a dedicated group of individuals who love what they do. The next time you are making laps on your favorite chairlift on a POW day, be sure to thank the lift mechanics for all the work they do in the summer – so that we are able ride chairlifts in the winter!